If you’re lucky enough to have a fireplace in your home, then you may be thinking about using it now that the nights are cooling down. If you’re looking forward to warming up by the fire throughout the holiday season, then watch this video to learn how to get your fireplace in San Jose ready for winter. Start by hiring a professional to come out and inspect your chimney. This step is critical to ensure that your chimney is free of creosote buildup and is in good condition. Also, check the area around your fireplace for anything that’s flammable, including kindling and fireplace logs, and move these away from the firebox. Finally, keep a working fire extinguisher nearby and remember never to close the damper or leave the room unattended unless the fire is cold to the touch and you’re sure that it’s out. If you’re like most people, chances are you’re incorporating changes around your house to save money—and be more energy-efficient at the same time. While many people only consider the efficiency of larger appliances, such as refrigerators and washing machines, you can reduce your energy bills and help the environment on a much smaller level, as well. LED lights are long-lasting and efficient, as they stay cool instead of wasting much of their energy as heat. When you’re looking for modern home lighting in San Jose , choose LED over incandescent bulbs, as they last as much as 25 times longer. Take a look at this infographic from Wright Lighting and Fireside, a lighting company in San Jose, to learn more about LED lights and why they’re the smart choice for your home. Please share with your friends and family! A fireplace doesn’t just provide warmth—it also helps create a delightful ambiance in your living room. If you have an old wood fireplace in your home that hasn’t been used in a while, or is too much of hassle to use, consider converting it to a gas log fireplace. 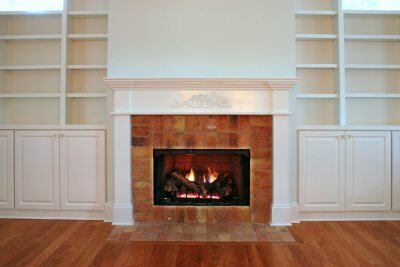 Below are the answers to questions you might have about fireplace conversions. If you have more questions, reach out to your San Jose fireplace experts . Why should I consider a fireplace conversion? If you’re unhappy with your wood fireplace for any reason, you might use that as an excuse to convert your fireplace. Maybe you’re tired of chopping and storing large amounts of wood, or maybe you don’t like the hassle of building a wood fire every time you get cold. Opting for a fireplace conversion is a covert way to renovate a significant focal point in your living room while improving your fireplace’s convenience and efficiency. What does a fireplace conversion involve? Converting your fireplace from wood to gas is simpler than you might think. In a lot of ways, the extent of the conversion is up to you. If you want, you could keep everything about your fireplace the same, except for the fuel source. All that’s involved with a fireplace conversion is the installation of a gas line that leads to a life-like log inside your new fireplace. Of course, you could also capitalize on the opportunity to update your fireplace’s aesthetic. There are a number of great benefits to making the switch to gas. When it burns, natural gas doesn’t contribute nearly as much particulate matter as burning wood does. This is good for both the lifespan of your chimney and your indoor air quality. You can ignite a natural gas fireplace with the flip of a switch, and you can extinguish it just as easily. Also, natural gas fireplaces are very inexpensive to use—mere pennies a day. In recent years, the importance of boosting your home’s energy efficiency has become more and more important. Not only is reducing your carbon footprint good for the environment, but it can save you a considerable amount every year on energy. As if turns out, there are a number of ways you can improve your home’s efficiency . Ask a fireplace company in San Jose for more details. LED light bulbs are the future of home lighting. 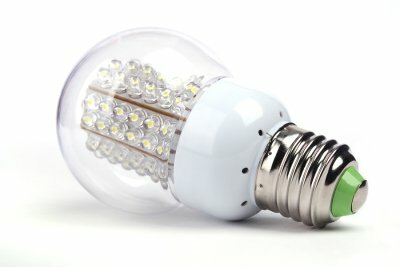 LED bulbs use up to 80% less energy than incandescent bulbs and put out the same amount of light. They also last up to 25 times longer, allowing you to save on lighting costs in the long run. LED bulbs don’t get as hot as incandescent bulbs, posing much less of a hazard. The best part is that modern LED lights can provide the same warm, golden glow as traditional incandescent bulbs—only at a much lower cost to your wallet and the environment. Utility companies estimate that warm air escaping up your chimney can account for as much as 30% of your energy bill. This is because drafts from inside your house can blow warm air up and out. To reduce the amount of air escaping up your chimney, simply have your San Jose fireplace experts install a draft-blocking glass door. You may also find a glass door to be a handsome addition to your living room décor. Ceiling fans are only used for cooling, right? Wrong. While ceiling fans are great for helping distribute cool air during the cooling season, they can be just as effective during the heating season. All you have to do is flip the switch near the base of your ceiling fan and it will reverse direction, sending a draft up toward your ceiling. Since warm air rises, this is an effective way to better distribute warm air, which can in turn help your heating system operate more efficiently. Thanks to its efficiency and longevity, LED is fast becoming the standard form of lighting. While most people have LED lighting in their homes (in one form or another), relatively few people understand how LED lighting works. After you watch this video about the science behind LED light bulbs, have a lighting company in San Jose upgrade your lighting. The part of the LED light bulb that produces light is called the semiconductor diode. Each semiconductor diode is comprised of two parts—a P-type semiconductor and an N-type semiconductor. When an electrical current is introduced, the positive holes from the P-type semiconductor and the electrons from the N-type semiconductor combine. The electron loses energy during this process, and emits that energy in the form of a photon, or light particle.